4) CONTACT US for audio samples or anything else you need. 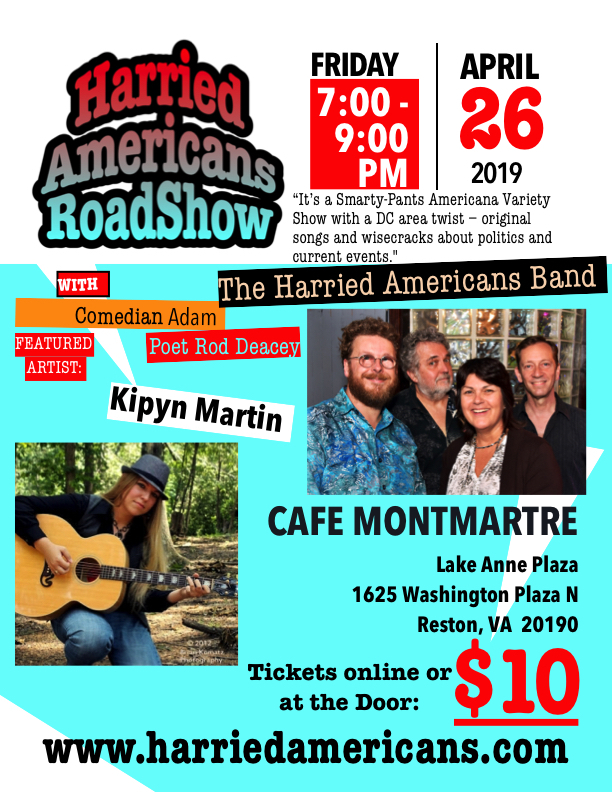 Harried Americans Roadshows are smarty-pants, loosey-goosey, Americana FUN – with a D.C. twist! 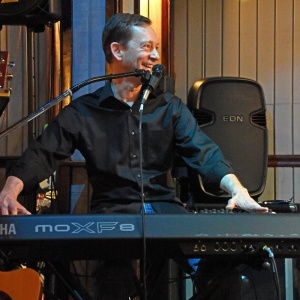 With topical original songs about politics and current events, 1960’s sing-alongs, and new takes on old standards from the Great American Songbook, you’ll have a laid-back good ol’ time. 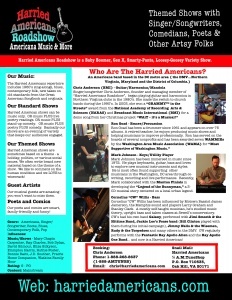 Harried Americans Roadshows are smarty-pants, loosey-goosey Americana FUN – with a D.C. twist! 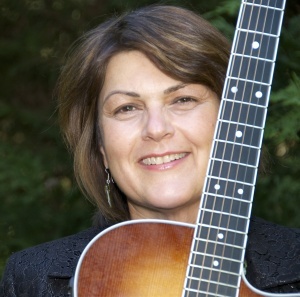 Featuring topical songs by singer/songwriter Chris Anderson (winner, GRAMMY™ In the Streets, Baltimore, 2003) about politics and current events and 1960’s sing-alongs led by emcee/drummer Ron Goad (seven time WAMMIE winner.) Bassist Niels Jonker and keyboardist Mark Johnson bring a new take on the Great American Songbook to keep keep audiences engaged and happy. Bassist Niels Jonker started to play flute in high school, but an argument with the music teacher ended that endeavor. His musical expression over the next few decades was limited to playing other people’s music as a party, club, and wedding DJ. 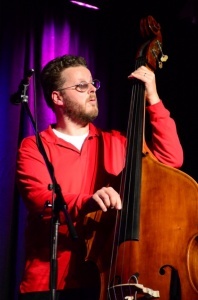 In 2011 he realized making music might be fun, and an upright bass seemed like a good plan. 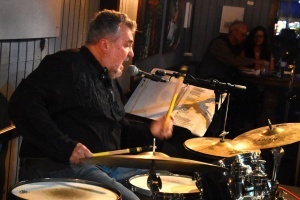 As a mostly self taught player, he’s since shared the stage with artists like Bryan Bowers and Tony Trishka, playing from the U.K. To California. He’s delighted to join the Harried Americans band !